Donate e-waste for our Planet Green Recycling Program! We have signed up to fundraise by recycling inkjet cartridges, cell phones and other small electronics with Planet Green. Please help our organization reach its fundraising goals by recycling. Most of us have these recyclable items sitting around our homes collecting dust and now you can recycle them and help us raise money at the same time. To help support us, visit our Planet Green Recycle fundraising website www.planetgreenrecycle.com/tbey and mail any items from the following list directly to Planet Green on our behalf with FREE pre-paid shipping label. You may also contact us about dropping off your recyclables to our office. Use GoodSearch for your web searchs! TBEY’s programs earns money when you use GoodSearch to search the web and GoodShop to shop online. Each time you search the internet or shop online at one of our participating stores, a donation will be made to us at no cost to you! Support us now at GoodSearch.com. Shop smile.amazon. com, Amazon donates! 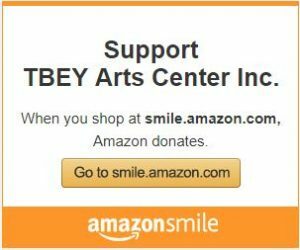 When you shop at AmazonSmile, Amazon will donate to TBEY. Support us every time you shop.